According to a new study, Baby Boomers are moving to Sacramento in droves. With 1.2 million Baby Boomers living in the Bay Area and the four-county Sacramento region as of 2015, it’s no surprise to see more developers targeting this demographic and building new active adult communities to meet the growing demand. Retirees are also flocking to the Sacramento Area because they are looking to downsize their homes and enjoy low-maintenance, resort-style living. Affordability is another factor that is attracting retirees to Sacramento County, as median home prices are in the $300s, which is a bargain when compared to other Bay Area cities like San Francisco. Some retirees are banking on the affordability of Sacramento by selling their pricier homes in San Francisco and saving the difference for their retirement. According to the Sacramento Bee, Boomers want low cost of living and plenty of amenities, which is what active adult communities throughout Sacramento are offering these days. K. Hovnanian is one of the builders looking to draw the 55+ crowd to this area with its new active adult communities under its Four Seasons brand. The builder’s Four Seasons at Westshore in Sacramento has homes priced starting in the high $200s and features world-class amenities, a variety of innovative home designs, and a lively social atmosphere. With just 533 single-family homes upon completion, residents of this 55+ community will also enjoy a tranquil setting surrounded by rural beauty yet close to urban attractions and daily conveniences. Another K. Hovnanian 55+ community is Four Seasons at El Dorado Hills, which is just 30 minutes away from Sacramento. The builder developed this age-restricted community between 2004 and 2009 and provides residents with resort-style amenities and low-maintenance homes. The builder doesn’t have any plans to stop developing in the area, as they have one more project in the works for Rancho Cordova. Lennar Homes is another builder that’s also developing new active adult communities in Sacramento. Heritage Vineyard Creek is the builder’s newest age-restricted community that will host 171 single-family homes upon completion. The community will also feature low-maintenance homes priced in the high $300s and will feature open layouts, energy-efficient designs, high ceilings, modern kitchens, master-on-main suites, and zero-threshold showers. Another reason Boomers are moving to Sacramento is the convenience of living near major roadways like Interstates 5 and 80 and being close to Sacramento International Airport. Downtown Sacramento is also nearby and offers retirees abundant attractions, entertainment, restaurants, and shopping options. Active adults are also choosing to retire in this area because they want urban amenities while staying close to family and friends. 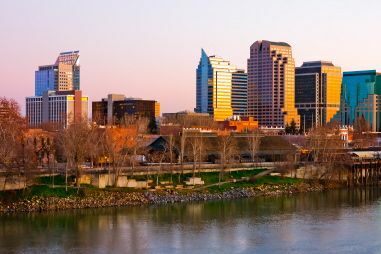 This new wave of retiring Boomers moving to Sacramento is a growing trend that is unlikely to change in the near future.